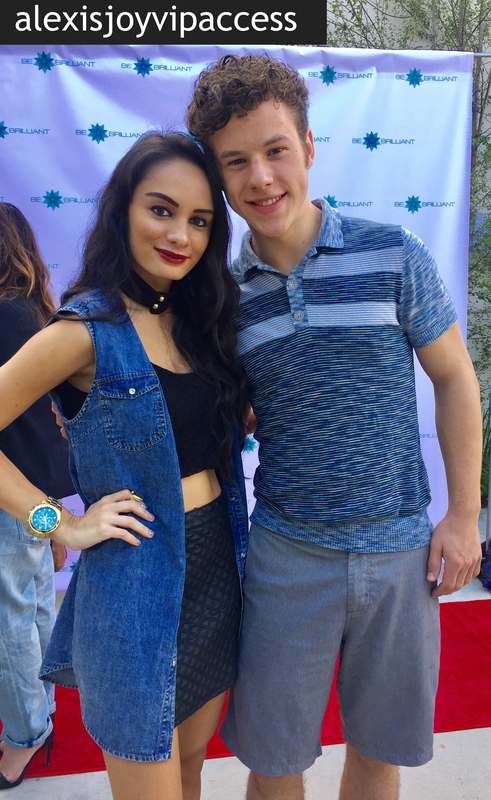 VIPAccessEXCLUSIVE: Nolan Gould Interview With Alexisjoyvipaccess At Breaking The Chains And Glitter Magazine’s Fall Reception Event! We have our real family, and we have our extended TV family. Over the many years that the stupendous, award-winning, highly-acclaimed TV show, “Modern Family” has aired and brought magnificence to our TV screens, we all have loved and bonded with the three, fantastic families of the show and felt like in some ways, we were a long-lost relative of each one of the families. Through all of the hilarious moments and the unforgettable parts of the show that make us feel like our family members are not too far off from the ones we see on our TV screens, “Modern Family” is one of the most iconic, legendary, and exceptional shows that will always hold a special place in all of our hearts. We all know the extraordinary Nolan Gould for playing the fan-favorite and sensational role of “Luke Dunphy” on the show. Nolan Gould has a superb and magnificent gift for acting and he has brought his character to life in such a brilliant way. As each phenomenal episode goes by, Nolan Gould continues to prove himself as a profound actor who always does such a mesmerizing job in every and all acting projects he works on. “Modern Family” is truly a masterpiece and Nolan Gould has definitely made such a great impact in the entertainment world. I, Alexisjoyvipaccess had the honor of covering the Breaking The Chains and Glitter Magazine Fall Reception Event and had a marvelous time catching up with and interviewing the excellent Nolan Gould again at the event. Nolan Gould dished exclusively to Alexisjoyvipaccess all about what his all-time favorite episode is from “Modern Family,” what his dream role would be to work on, and so much more only in our VIPAccessEXCLUSIVE updated interview. Nolan Gould even spilled on his spectacular pitch he has for “Modern Family” including a special guest-star appearance from the one and only, rapping icon Drake! Hear what Nolan Gould had to say in our VIPAccessEXCLUSIVE updated interview below. Thanks for another fun interview, Nolan – always a blast chatting with you! Check out my VIPAccessEXCLUSIVE updated interview with the remarkable and immensely talented Nolan Gould at the Breaking The Chains and Glitter Magazine Fall Reception event below! Previous VIPAccessEXCLUSIVE: The Brilliant Rio Mangini Updated Interview With Alexisjoyvipaccess At The Breaking The Chains And Glitter Magazine Fall Reception Event! Next VIPAccessEXCLUSIVE: The Outstanding Cree Cicchino Interview With Alexisjoyvipaccess At The Breaking The Chains And Glitter Magazine Fall Reception Event!